Maximising Depreciation Benefits – Think OUTSIDE not just Inside! You are here:Newsletters > Maximising Depreciation Benefits – Think OUTSIDE not just Inside! Happy EOFY (End of Financial Year). Now is a timely reminder for investors to analyse some of the structures and improvements not just on the inside, but also the outside of their properties, as these items endure wear and tear over the years, and therefore may be eligible as a depreciation deduction. The Australian Taxation Office (ATO) allows owners of income producing properties to claim depreciation deductions when they submit their annual income tax assessment. However, before lodging, we recommend you consult with a specialist Quantity Surveyor to arrange a tax depreciation schedule for your investment property. This schedule will outline all the deductions available structurally, as well as plant and equipment assets inside and outside. 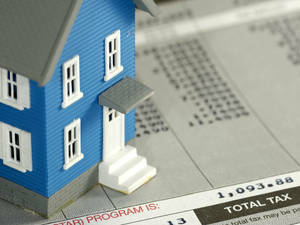 The deductions a specialist Quantity Surveyor outlines on a depreciation schedule are split into two types. Structural items will be classified as capital works deductions, while assets which can be easily removed from the property can be claimed as plant and equipment depreciation. Items classified as capital works will depreciate at a rate of 2.5 per cent each year over forty years. Plant and equipment assets, on the other hand, each have an individual effective life as set by the ATO. In summary, maximising depreciation deductions for external items and considering whether any improvements can be made can add thousands of dollars to an investor’s pocket. It also can add additional value to the property and appeal to tenants, helping to increase your rental return.